I have been asked on more than one occasion, "What if I get an epidural? How will you support us if I choose to get an epidural?" I've also been told, "I don't need a doula, I just want to get an epidural and be done with it." It's true, recent research has shown that women with doulas are 9% less likely to use any pain medication (DONA,2016). But what is a doula? A doula is not a "medication-free birth advocate", even if the doula favors medication-free births. A true doula is a "trained birth support". This means that a doula should support your decision no matter how you choose to birth. When interviewing a doula, be sure to find one that supports YOUR BIRTH PLAN. A doula should be able to support you physically and emotionally, should offer partner support and educational information and advocacy, no matter the birth plan. PHYSICAL SUPPORT FOR EPIDURAL – As a DONA trained doula, I've been trained on how to support women that are confined to their bed, whether the reason is because of an epidural or anything else. There are several positional strategies that can still be utilized after an epidural has been administered. I go over a lot of these positions during my prenatal appointments and even offer a handout to those specifically wanting an epidural. The key is to keep the birthing mother aligned while also trying to use gravity where possible. The work is not over just because the epidural has been administered! A baby still needs to come into the world safely while also keeping mama safe. 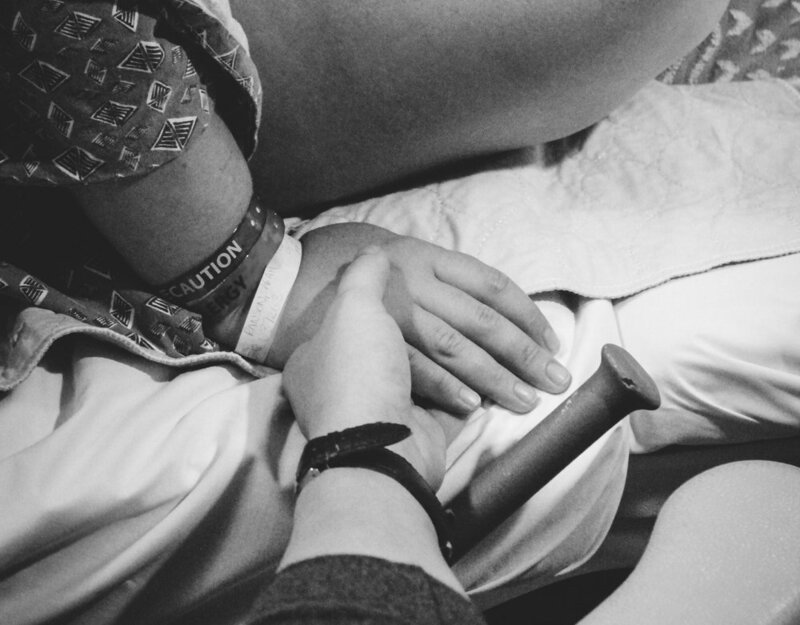 EMOTIONAL SUPPORT FOR EPIDURAL – Even when an epidural is part of the birth plan, emotional support is still necessary. With mom confined to the bed, hormones soaring and labor progressing, there is still always room for mom & partner to be nurtured & cared for by a supportive doula throughout their birth. PARTNER SUPPORT FOR EPIDURAL – Just as the doula offers physical and emotional support to the laboring mother, so does the doula offer that very same support to the partner. Whether that partner wishes to be involved hands-on or at a distance, a doula will offer in depth support in order to make sure the partner also has a supported birthing experience. EDUCATIONAL INFORMATION & ADVOCACY – Whether an epidural is on or off your birth plan, it's important that a birthing mother be educated on an epidural, how it is administered and its effects. How long will it take to get one? Who can be in the room when I get one? How long will it be in effect? What are the consequences of getting one? 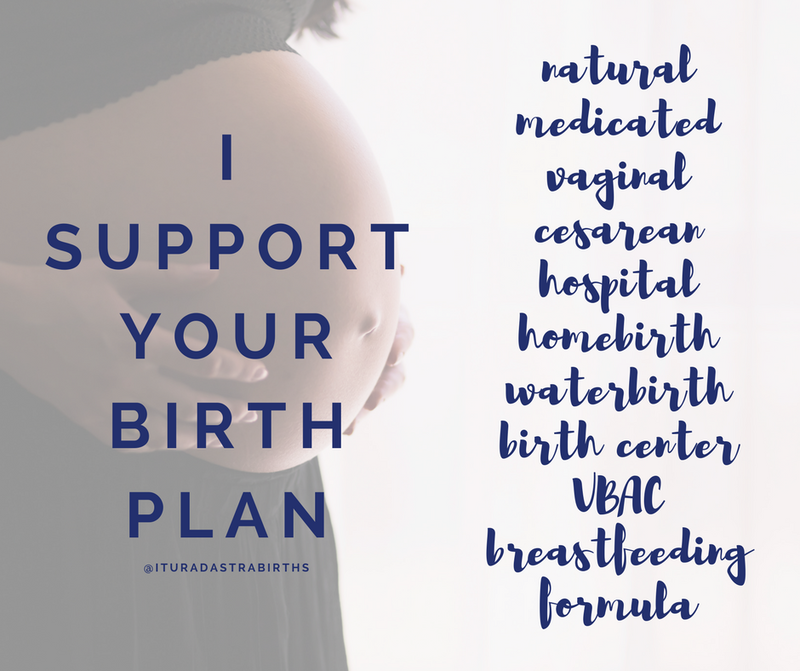 As a doula, I support YOUR BIRTH PLAN, but I also EDUCATE you on your birth plan so that you and your partner can advocate for yourselves and your desires for your birth. Newer PostBirth Plan: To Have or Not to Have? Older PostThe Birth of Sophia + The Birth of a Doula.